The Banded Bead Cocktail Shaker from the Heritage Collection by Reed & Barton is a companion bar component which follows in the classic form of the ice bucket and wine coaster, with related intervals of beaded bands in spare concentric patterns. 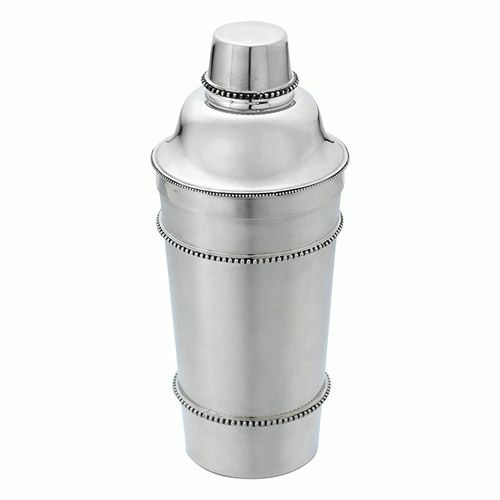 The Banded Bead Cocktail Shaker is finished in pewter plate and measure 10-1/16" in height by 3-7/8" wide. 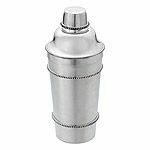 Elegantly gift-boxed for gift-giving, the cocktail shaker is perfect for a birthday or shower gift, especially when engraved. Add a cocktail shaker to your cart for engraving options.